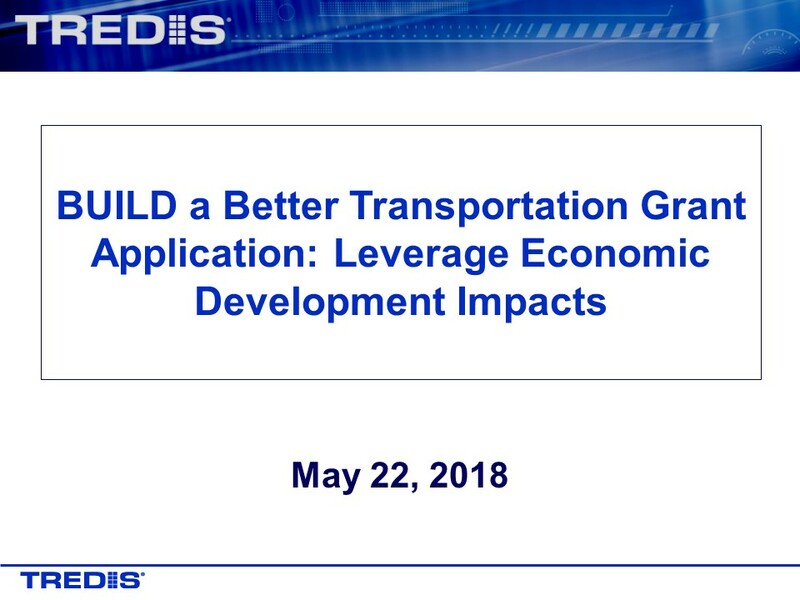 The U.S. Department of Transportation recently published a Notice of Funding Opportunity to apply for $1.5 billion in discretionary grant funding through the Better Utilizing Investments to Leverage Development (BUILD) Transportation Discretionary Grants program. With the July 19th submission approaching quickly, now is the time to consider how you can make your application more competitive. By using TREDIS to inform your grant application, you will be able to meet the benefit-cost analysis requirements set forth by the U.S. DOT and you can expand your analysis to include additional impact considerations. To conduct a benefit-cost analysis analysis using BUILD guidance, the TREDIS-MBCA (Multimodal Benefit Cost Analysis) tool is available for you to use for free. Register to use TREDIS-MBCA here. To gain insights and expand your analysis and application narrative beyond what is required, the full TREDIS economic suite enables applicants to show how your project contributes to the economy, generates tax or toll revenues, and leverages public and private investment.